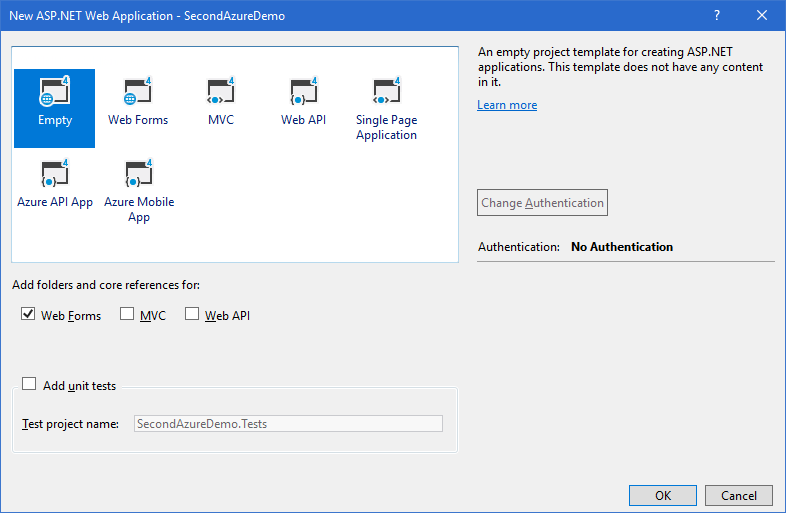 How to deploy your Web Application to Microsoft Azure using Visual Studio 2017? 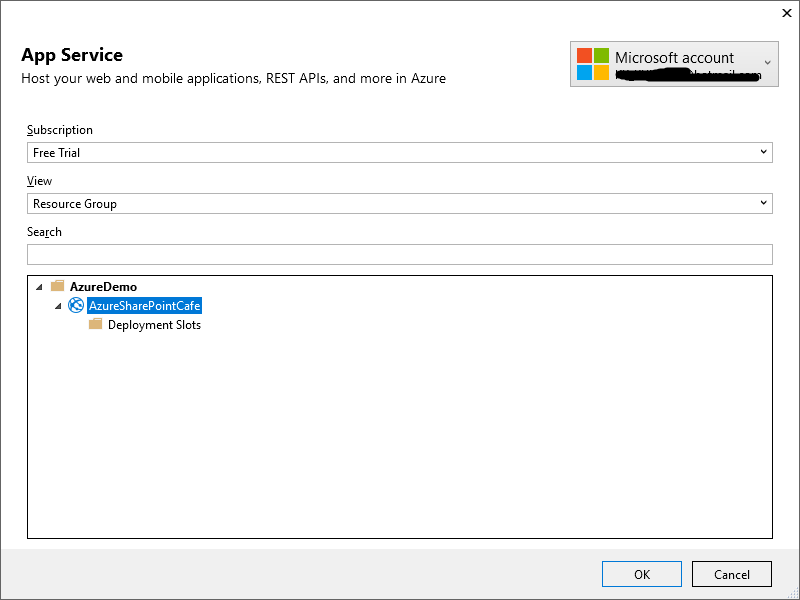 Hello everyone, in my earlier blog I have already explained about "Create and Deploy WebApp in Azure App service". 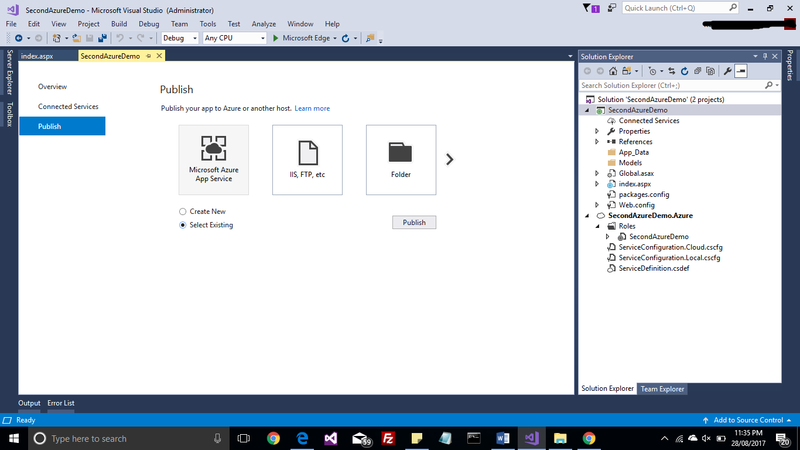 That deployment was done using Visual Studio 2015. Now as you all know that Microsoft has released .Net Core 2.0 and Visual Studio 2017. So, I downloaded Visual Studio 2017 Community Edition to deploy my ASP.Net web application to Microsoft Azure. 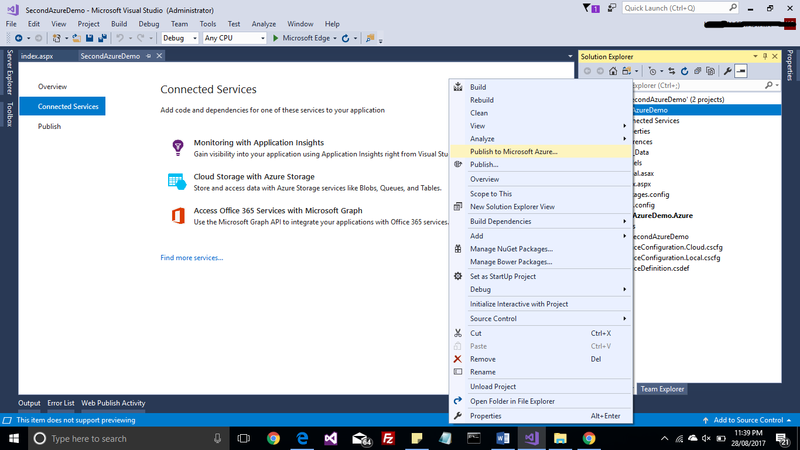 Here deployment steps are slightly different than what we have in Visual Studio 2015. 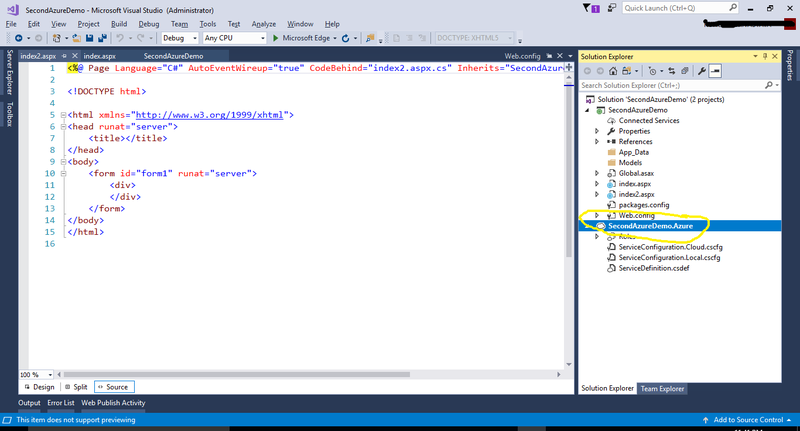 "Developing applications for Azure is a seamless integrated experience in the IDE you know and love. 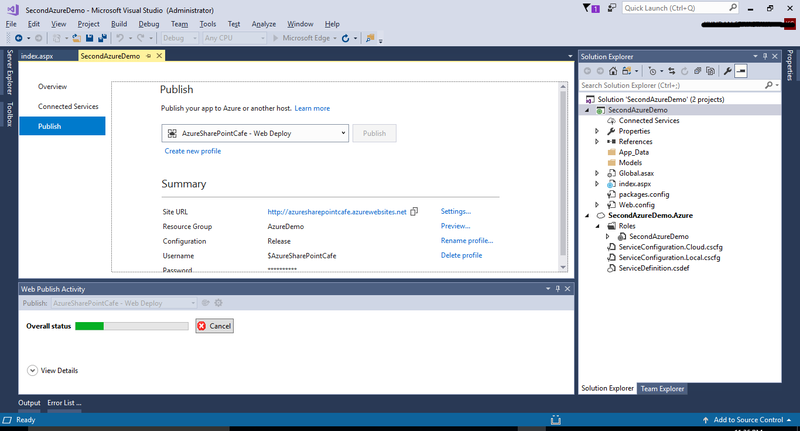 Visual Studio 2017 includes all you need to get started developing for Azure. 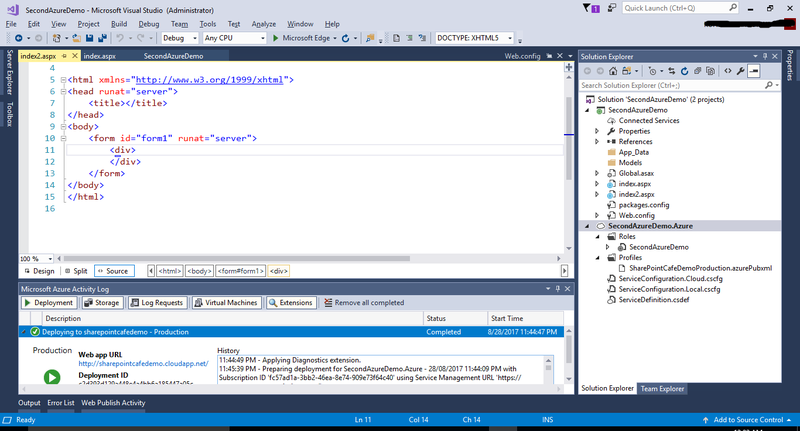 Enable the Azure workload in Visual Studio 2017, and you are good to go." So, if you have not yet downloaded Visual Studio 2017, you may download it from this link. If you are an individual developer then you should download Community Edition only, it supports all IDE features which require for an Individual. I have already downloaded and installed Visual Studio 2017. Here is the welcome screen of Visual Studio 2017. Follow below steps to deploy your Web Application to Microsoft Azure using Visual Studio 2017. Create a new Web Application. 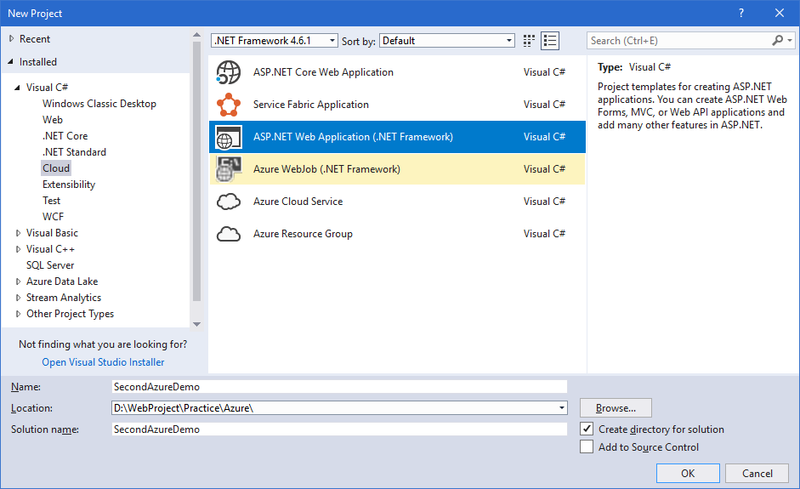 Select Cloud from Installed Template and Select ASP.Net Web Application. Here I am creating an Empty web application and will add on aspx page to test. You may select as per your requirement. Add an aspx page to your Project. 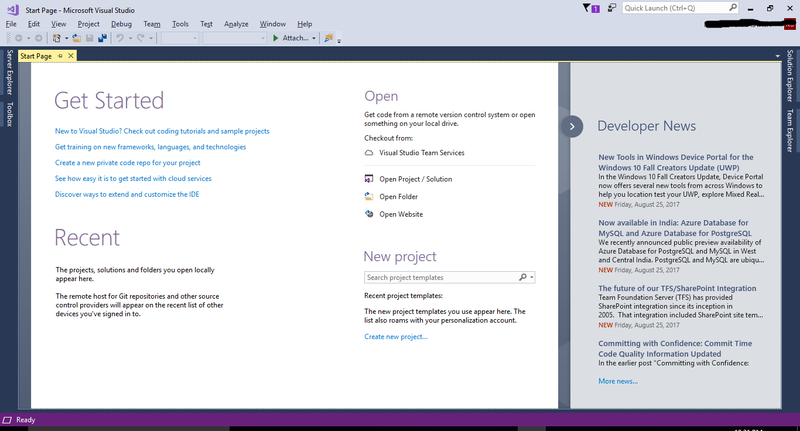 Visual Studio 2017 will open Publishing screen for you. 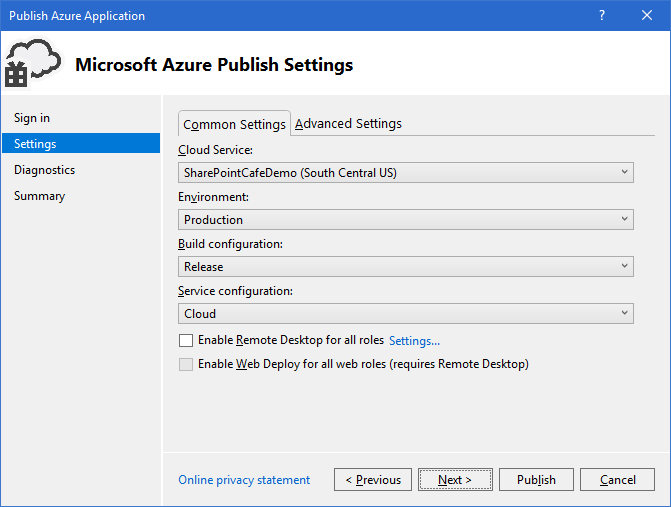 If this is the first time you are deploying to Microsoft Azure then select Create New, else "Select Existing"
Click on OK and Publishing will start. Once publishing action is completed successfully you may browse URL. You may see URL in Publishing wizard. Refer earlier screen shot. You may notice URL has 4 parts below. 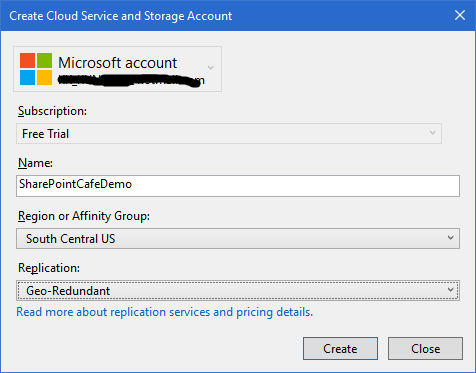 AzureSharePointCafe - This is the name I gave while deploying my first Web Application to Azure service. Please refer earlier screen shot. Now there is one another deployment way in Visual Studio 2017. 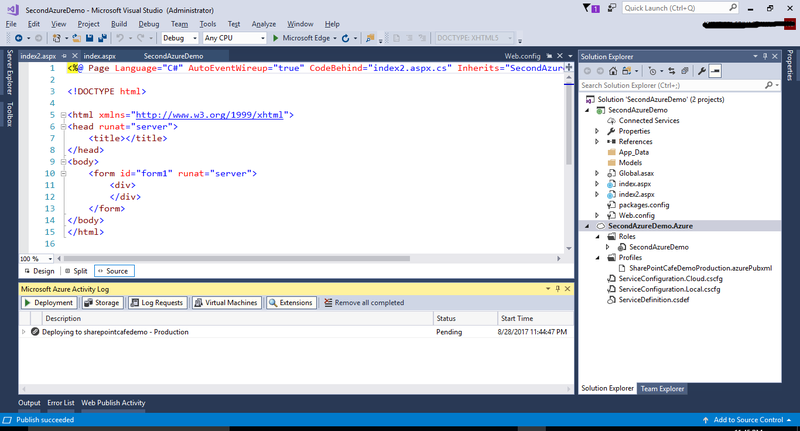 Microsoft Azure Project in Visual Studio 2017. You may convert your project into Cloud Azure Project. To do this right click on your project Convert → Convert to Azure. 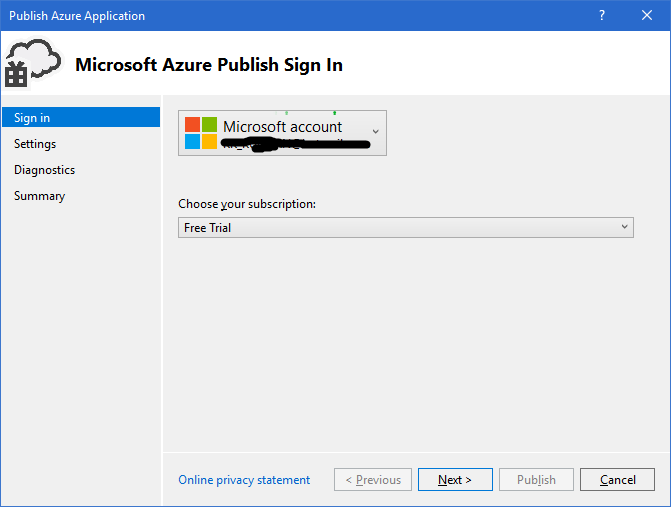 Now Right click on Azure Project and select Publish. See highlighted area. It will prompt for your account details. Login to account if an account is not showing. Click Next. Now give a name and select a region. Click Next. You can see your setting in below screen. Click Publish. Click on Deployment in the bottom area of Visual Studio 2017. Once Deployment is done successfully, It will show the URL and other details. Just browse the URL and you will start smiling after looking at your browser as your page is running on Microsoft Azure. If this blog is helpful to you, please write your comment below and subscribe to this blog.